Ready to increase your crochet stitch vocabulary? Check out Interweave Presents Classic Crochet Shawls for a quick crochet lesson. 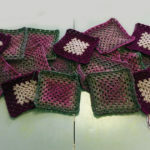 Why are crochet shawls a great project for learning a new stitch? Because shawl patterns often include increasing or decreasing stitches, and the process of increasing or decreasing a new stitch or motif will help give you a clearer understanding of the stitch’s construction. Crochet shawl patterns are also very repetitive, and repetition is key when learning something new. Finally, crochet shawls are usually relatively small, so you can learn about shaping without committing to an entire garment. Check out 5 of our favorite shawl patterns for learning new stitches! 1. 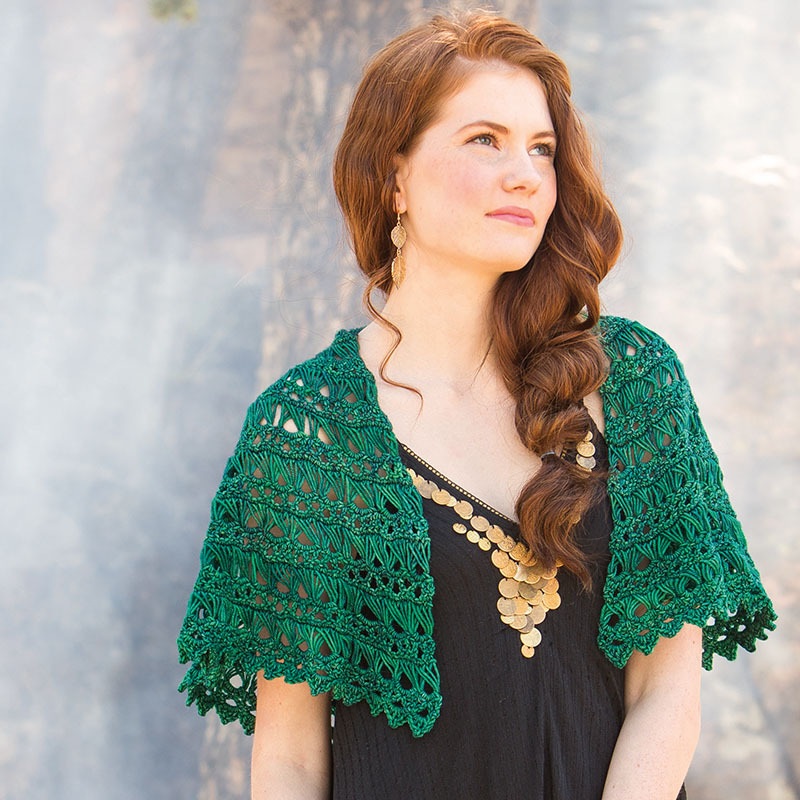 Learn filet crochet with the Eolande Shawl by Kathryn White. Even crocheters experienced in filet crochet will love this shawl accented by lovely diamond patterns. This lovely project is reminiscent of historic lace crochet and is so lovely to make! 2. Learn popcorn stitches with the Emergence Shawl by Kathryn White. Popcorn stitches are rounded bulbs that pop off the fabric. Combine them with filet crochet to give this shawl some texture. Popcorn stitches are easy to learn and add great dimension to crochet shawls. 3. 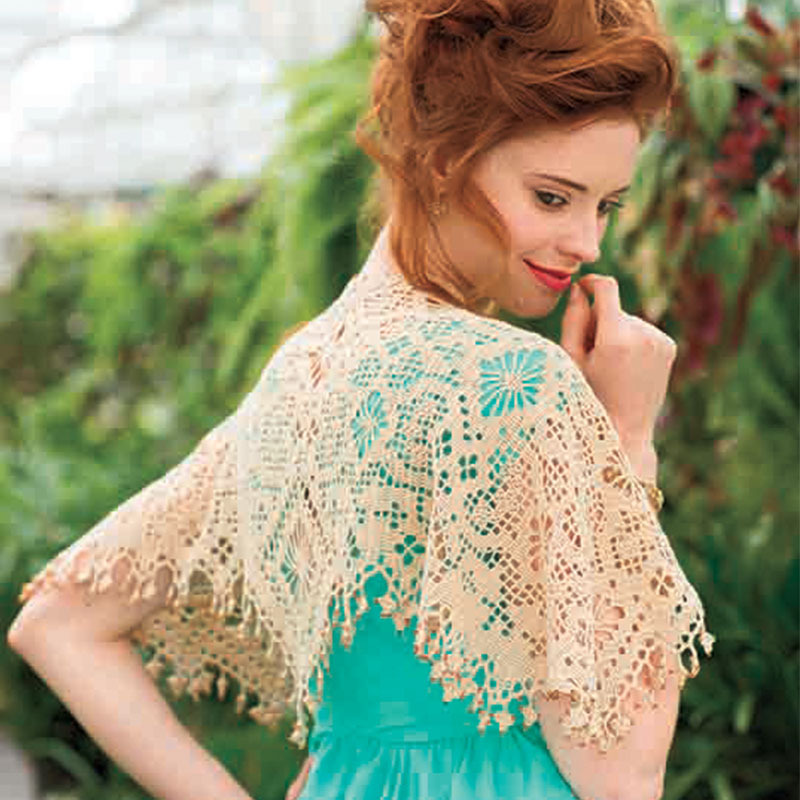 Learn broomstick lace with the Flying Broomstick Lace Shawl by Brenda K. B. Anderson. This historic technique is one to add to the toolbox! Historically made by wrapping yarn around the handle of a broomstick (hence the name), modern broomstick lace requires a larger hook or knitting needle. 4. 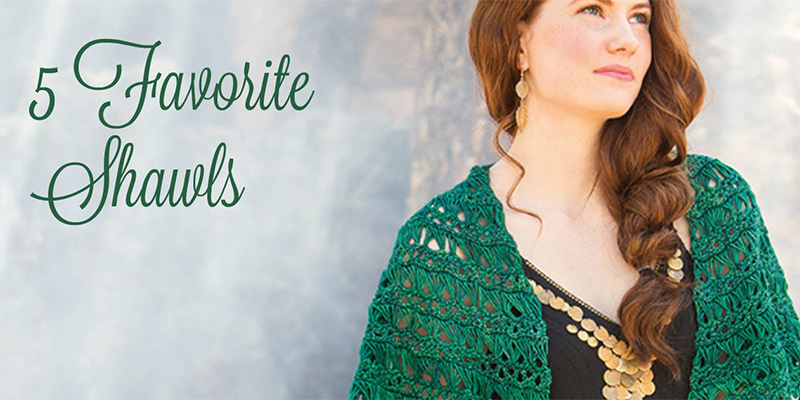 Learn lover’s knot with the Amelie Triangular Shawl by Mary Jane Hall. Lover’s knot, sometimes known as Solomon’s knot, is a beautiful open stitch pattern. You’ll want to use this stitch again and again. 5. 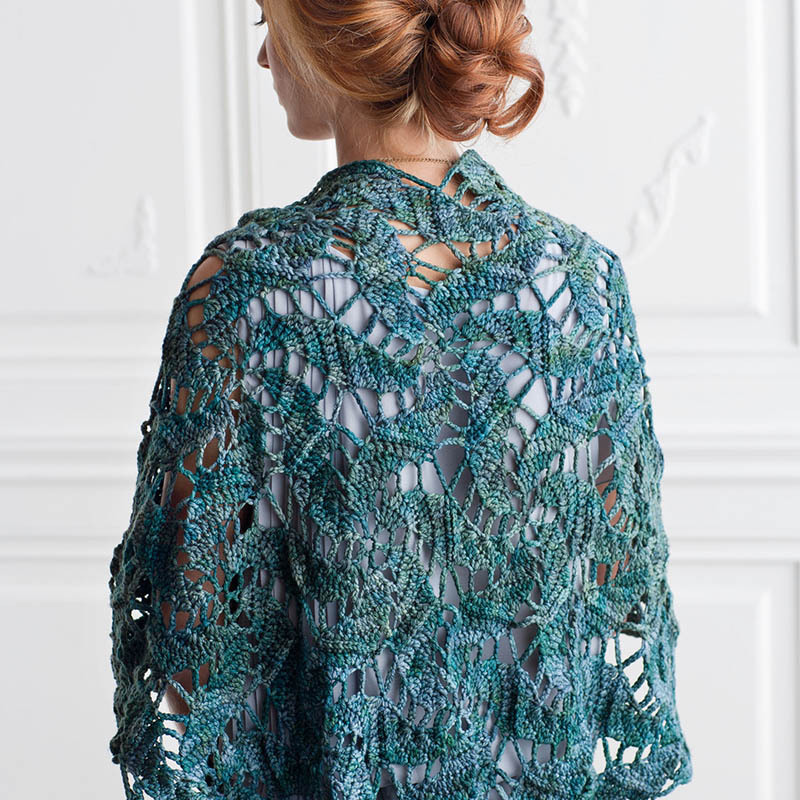 Learn the spiral motif with Blue Lagoon Swirling Hexagon Shawl by Kristin Omdahl. This beautiful shawl is composed of several spiral motifs worked in the round with double crochet and chain stitches. When sewn together, they create a stunning visual effect. Which shawl will you try first? Let us know in the comments below! Crochet shawls to teach your hook something new! Forgot my password. How do I change it? Have 2 items, so far, in cart. Have you tried a password reset by chance? The best way to get to it is to click ‘Sign Up/Sign In’ in the upper right corner of the site. When the window pops up, at the bottom there should be a password reset link (it’ll look like this: https://www.screencast.com/t/pClUslZh). Click that and enter the email associated with your account and you should get the reset email. If you have any further trouble you can reach out to our customer service team here https://www.interweave.com/contact-us/.